I once dreaded winter’s teeth-rattling temperatures and gray skies, but now I look forward to the season. And I owe it all to owls. Turns out, they’re much easier to see (and hear!) during winter. Never been owl-spotting before? 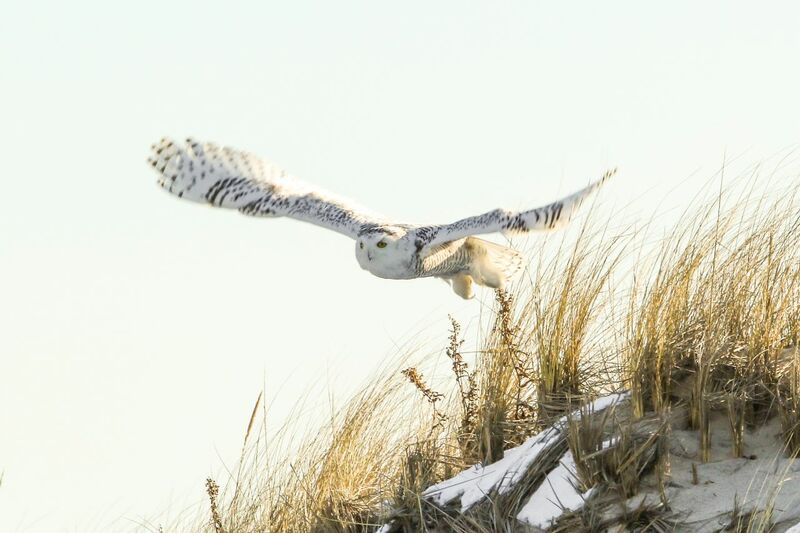 If the cold doesn’t take your breath away, finding your very first owl surely will. Follow these tips to get started—and to ensure you don’t inadvertently disturb any owls in the process. You don’t have to venture deep into a forest to find owls; in fact, many, like the wide-ranging Great Horned Owl, have adapted to fragmented landscapes. Wooded strips near open fields simultaneously provide safe nesting sites and good hunting grounds. Standing, dead trees with large cavities and tangles of old vines are especially owl-friendly. Public parks and preserves can be ideal, but, wherever you go, don’t trespass. Get permission before exploring private lands. Although you shouldn’t go out if it’s dangerously cold, hiking during average winter days can be pleasant—provided you’re warm and dry. Stay extra-toasty with wool socks, heavy boots, multiple layers, waterproof coveralls, and a balaclava. Also, bring water and binoculars and tell someone where you’re going. Owls also leave clues on the ground. 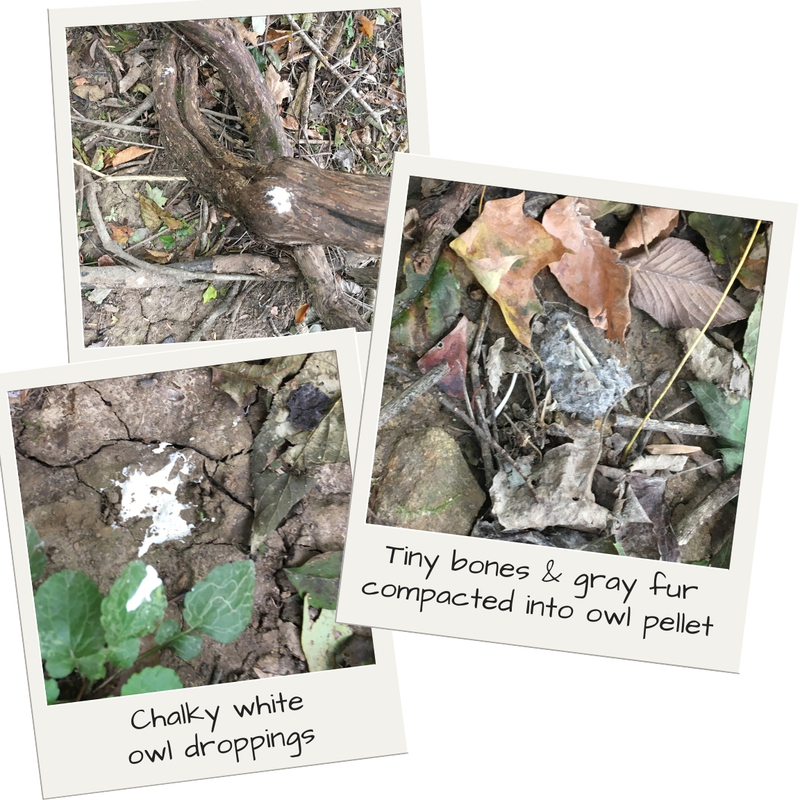 Beneath dead trees, look for “whitewash”—chalk-like droppings—and owl pellets. (Owls regurgitate these compacted, indigestible remnants after meals.) If you see these, there’s likely an owl gazing down at you. Note the location, so you can peek later from farther away. Live near owls? Avoid rodent poisons! Owls feeding on poisoned animals can themselves become poisoned and die. Also, avoid tossing food remnants out the car window. Owls hunting scrap-eaters along roadways are frequently hit by cars. 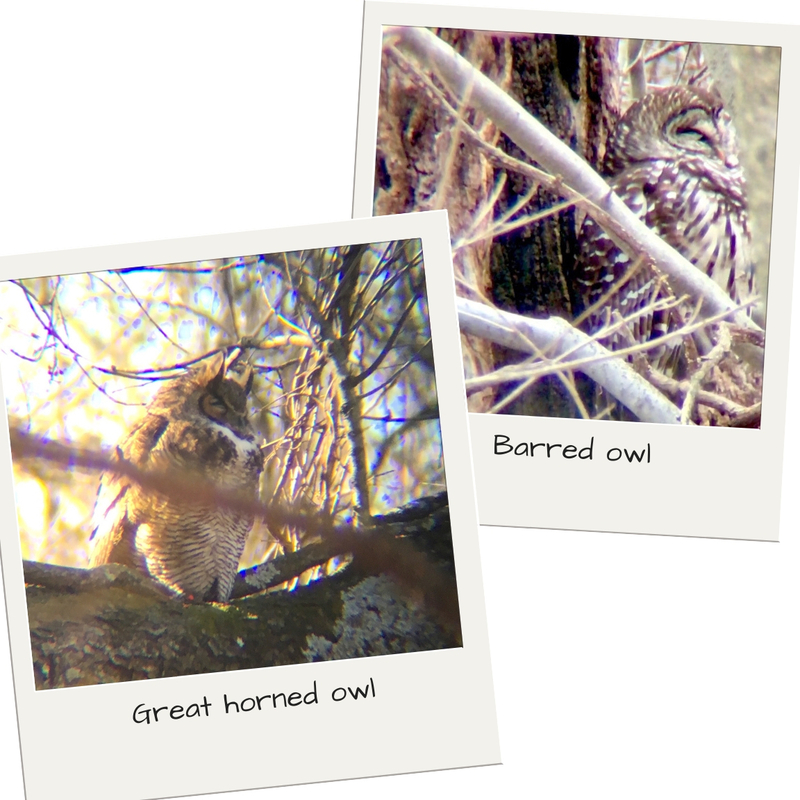 Ready to go owl-spotting? Feel free to share your owl pics with us by posting them with the hashtag #NaturePBS on social media – we cannot wait to see “whooooo” you encounter! Susan M. Brackney is a Master Naturalist and author of four nonfiction books including Plan Bee: Everything You Ever Wanted to Know About the Hardest-Working Creatures on the Planet.